ATLANTA (July 21, 2015) – School is almost back in session, and Calhoun Premium Outlets, Lenox Square, Mall of Georgia, North Georgia Premium Outlets, Phipps Plaza, Sugarloaf Mills and Town Center at Cobb are gearing up to help local shoppers stock up on all the necessities this season during Georgia’s 2015 Tax Free Holiday. OnFriday, July 31 and Saturday, August 1, Atlanta-area shoppers can enjoy a state sales-tax exemption on school supplies, clothing, electronics and other back-to-school items. The deals don’t end there – Lenox Square, Mall of Georgia, Phipps Plaza, Sugarloaf Mills and Town Center at Cobb will help shoppers save even more through retailer coupons and other special offerings available online at the Simon Retailer Showcase available at simon.com. · Special Promotion: Log onto PremiumOutlets.com/Calhoun for sales and events throughout Tax Free Weekend, and join the VIP Shopper Club for free online access to the VIP Lounge, exclusive online coupons, a voucher for a free VIP Coupon Book and more! · Receipts & Rewards: Simon Rewards members can upload their store receipts to earn special prizes and points for their back to school shopping! Shoppers will also have “double bonus point” opportunities at certain Lenox Square retailers. For a list of participating stores, visit Guest Services. For more information about the Simon Rewards program or to sign up, visit simonrewards.com, check out the Simon Rewards kiosks at Lenox Square or download the Simon Rewards app on an Apple or Android device. Friday, July 31 – Saturday, August 1 from 10 a.m. – 9 p.m.
Livable Buckhead will be onsite accepting donations for those in need. Collection tents will be located at the mall on the Peachtree Road side for unwanted clothes and accessories, including belts, purses, scarves, backpacks, textiles, t-shirts, socks, shoes, dress shoes, hats, athletic clothes, gloves, coats, jackets, suits, uniforms, etc. · Receipts & Rewards: Simon Rewards members can upload their store receipts to earn special prizes and points for their back to school shopping! Shoppers will also have “double bonus point” opportunities at certain Mall of Georgia retailers. For a list of participating stores, visit Guest Services. For more information about the Simon Rewards program or to sign up, visit simonrewards.com, check out the Simon Rewards kiosks at Mall of Georgia or download the Simon Rewards app on an Apple or Android device. 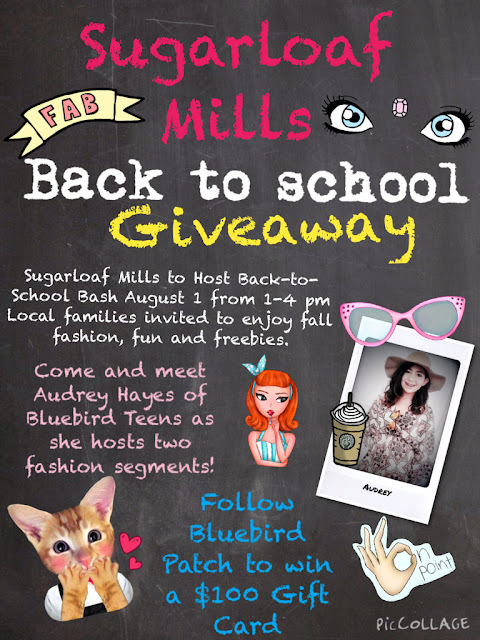 Mall of Georgia is joining forces with Teen Vogue, the number-one source of fashion and beauty news for style-conscious teens and 20-somethings everywhere, for a showcase Teen Vogue Back-To-School-Saturday (BTSS) event aimed at giving school-bound shoppers in Gwinnett the 4-1-1 on Back-to-School style as they head into the new year. Teen Vogue and Simon will also debut a series of shopping haul videos, showing how to achieve Teen Vogue’s three highlighted Back-to-School trends. The videos will debut just in time for the back to school shopping rush, with the content running across all Teen Vogue and Simon digital and social platforms. 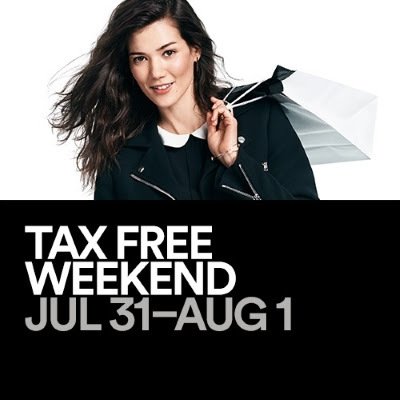 · Special Promotion: Log onto PremiumOutlets.com/NorthGeorgia for sales and events throughout Tax Free Weekend, and join the VIP Shopper Club for free online access to the VIP Lounge, exclusive online coupons, a voucher for a free VIP Coupon Book and more! · Receipts & Rewards: Simon Rewards members can upload their store receipts to earn special prizes and points for their back to school shopping! Shoppers will also have “double bonus point” opportunities at certain Phipps Plaza retailers. For a list of participating stores, visit Guest Services. For more information about the Simon Rewards program or to sign up, visit simonrewards.com, check out the Simon Rewards kiosks at Phipps Plaza or download the Simon Rewards app on an Apple or Android device. Local families are welcomed to say so long to summer and celebrate the beginning of the school year with Sugarloaf Mills' Kidgits Back to School Party. Kids can enjoy themed crafts, activities and more as they get ready to head back to school in style! This event is FREE for Simon Kidgits Club Members; $5 for nonmembers includes an entire year of fun activities and a Kidgits T-shirt! As part of Tax Free Weekend, Sugarloaf Mills is hosting a special Back-to-School Bash! Shoppers can enjoy six fall fashion segments, hosted by Erin Haag of Mommy Octopus, Stacey Stegg of Macaroni Kid Lawrenceville and Audrey Hayes of The Bluebird Patch Teen. Plus, there will be door prizes, swag bags, style stations and more! Summer might be ending soon, but the fun is swinging into high gear at Town Center at Cobb! On Saturday, August 1, the mall is hosting the highly-anticipated Southeast Yo-Yo Championship! Shoppers are invited to watch this ultimate throw down competition, as the best contenders in the Southeast vie for a top spot at the National Yo-Yo Contest held later this year. As part of Tax Free Weekend, Town Center at Cobb is hosting a special Back-to-School Bash event! Shoppers can enjoy a fashion show by brooklynn's to get the latest looks of the season, as well as door prizes, swag bags and more.